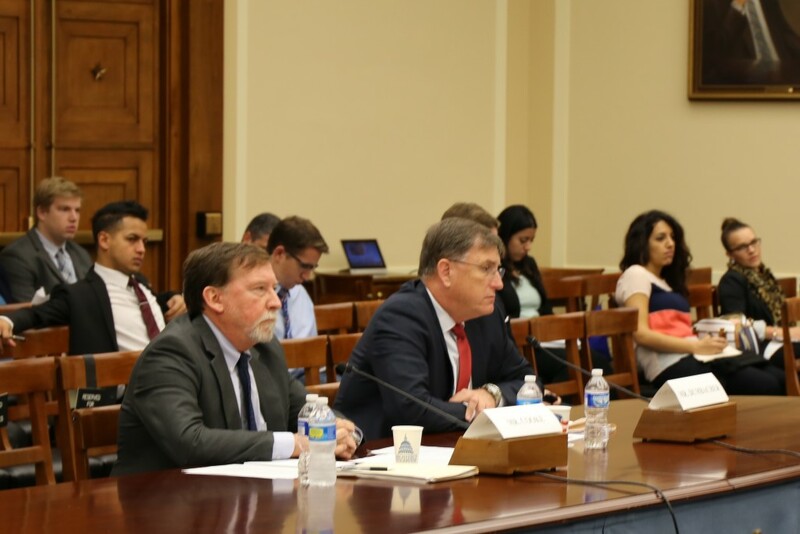 October 12, 2015 – On October 9, the House Committee on Science, Space, and Technology’s Subcommittee on Space held a hearing titled, “Deep Space Exploration: Examining the Impact of the President’s Budget.” The purpose of the hearing was to examine the Administration’s management of the Space Launch System (SLS) and Orion crew vehicle development programs. The hearing took place a day after the Obama administration released its Journey to Mars report which contained no budget, schedule, or deadlines. President Obama has requested $440 million in cuts to NASA programs this fiscal year. The House Science Committee’s NASA Authorization Act for 2016 and 2017 sought to restore funding to programs that will return U.S. astronauts to deep space destinations such as the Moon and Mars. That bill also restored funding for planetary science accounts that have been responsible for missions such as the recent New Horizons Pluto fly-by, in addition to providing full funding for other space exploration programs such as the Commercial Crew and Commercial Cargo programs. Testifying before the Subcommittee were: Mr. Doug Cooke, owner of Cooke Concepts and Solutions and Former Associate Administrator, Exploration Systems, NASA; and Mr. Dan Dumbacher, Professor of Engineering Practice at Purdue University and Former Deputy Associate Administrator, Human Exploration and Operations Mission Directorate, NASA. U.S. Representative Ed Perlmutter (CO-07) asked several questions about the role of the committee in helping to provide a long-term plan that keeps the SLS and Orion projects on track. Space Subcommittee Chairman Brian Babin noted what an amazing time it is for the space community. NASA is committed to sending astronauts on a journey to Mars and has been steadily working toward that goal. The SLS will be integrated with Orion for Exploration Mission-1 (EM-1) in 2018. The mission will send an uncrewed Orion spacecraft into lunar distant retrograde orbit – a wide orbit around the moon that is farther from Earth than any spacecraft built for humans has ever traveled. Future missions will carry astronauts to the surface of an asteroid and eventually to Mars. Lockheed Martin Space Systems of Littleton, Colorado is the prime contractor for the Orion spacecraft, but Orion and SLS depend on the work of hundreds of companies around the U.S.